Hello fellow JPEGmini friends! 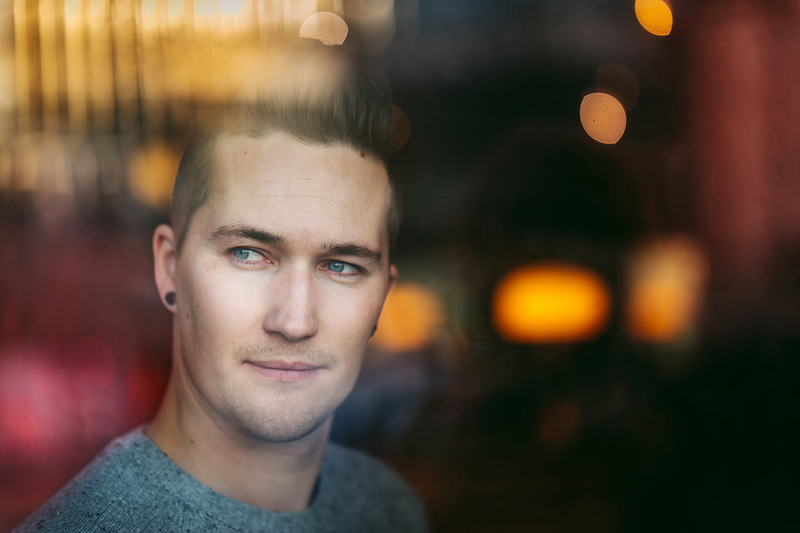 My name is Eirik Halvorsen and I’m a wedding photographer based in the South of Norway. 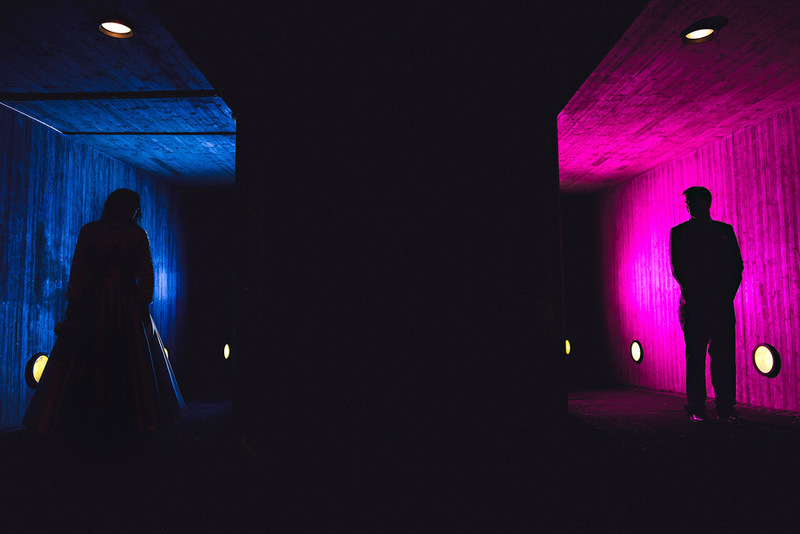 This blog post is about why and how you should embrace the dark when you photograph weddings. It can also be applied to all other kinds of photography of course, I just want to give you my take on it for my wedding clients. 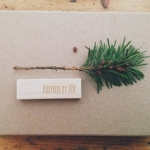 You see, a few years ago I always got a little bit stuck when I was designing my clients’ albums. Particularly on the very last page. How do you end a full wedding day in an album? With a dancing photo? You can. With a photo of the bride and groom eating cake? Yes, but it’s not “WOW!” if you know what I mean? I tried to come up with a way to close the album. Something a bit on the wow-side. Something a bit artsy and different from what was expected perhaps. I have always loved long exposure photography and playing with lights in the dark and I thought that this would be a cool idea to end the albums. I started to experiment a lot and I called it “The Last Photo” for myself. I use QT Albums for all my clients and I love them! In Henrikke and Glenn’s wedding I was about to leave for the night when this amazing starry sky met me as I exited the building. 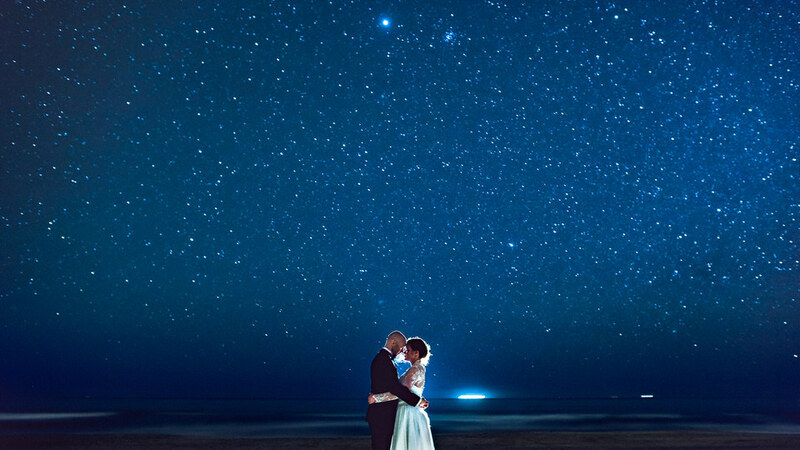 The wedding was on the beach in late winter time and there was no light pollution from buildings or cities around. I ran back in and asked them to please come with me down to the beach so we could try to capture this beautiful sky in a portrait. 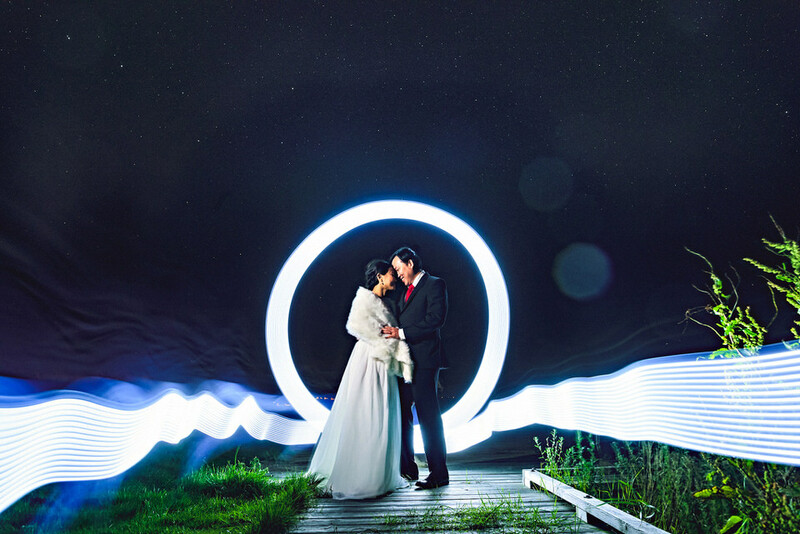 The camera was on a tripod and I put a flash behind them to make a rimlight so that they would pop out of the starry sky. The white sand in front of them reflected some of the light back which is why they aren’t silhouettes. Keep your camera steady. A tripod is the easiest way but if you are like me and you like to travel light or if you simply just forgot to bring it, use whatever you can find to place your camera on. Use things in your pocket to put under your lens to build it up (cell phone, wallet, another lens etc). 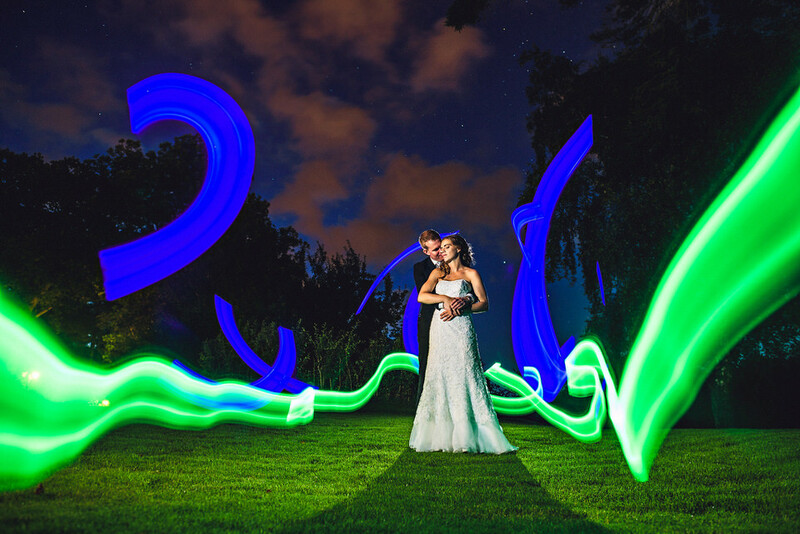 When your frame is composed make the bride light up the grooms face with a flashlight. You now have enough light to focus your lens. When in focus, switch it into manual focus so it stays there. Remember to tell your couple to not move. 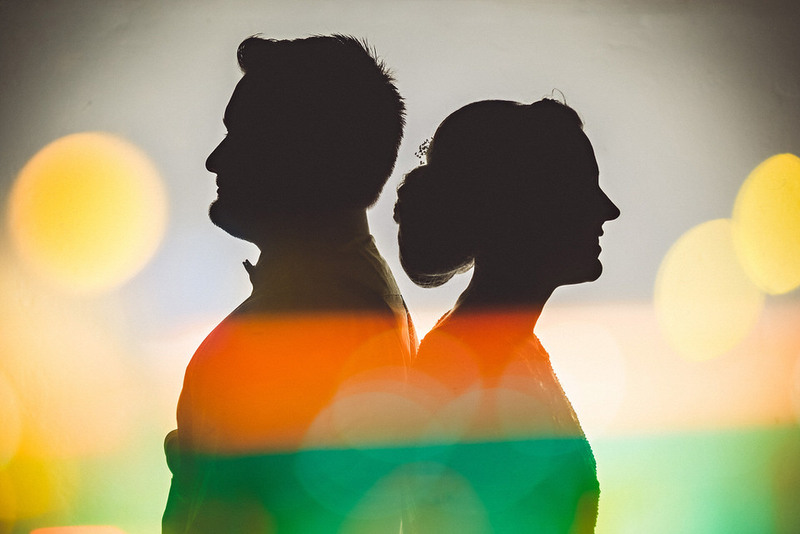 Do these first steps with your assistant, second shooter or a waiter or whatever and then go get the bride and groom when the setup is ready. Remember to draw a line in the sand or place a branch or something where their spot is so you don’t have to focus again. Expose for the ambient. There are no right or wrong here. It all comes down to what you want to do. For me, if I’m going to paint with light I know I need at least 10-15 seconds so I start there. Then I choose an f-stop depending on how I want my depth of field and/or how much or little I want to stress the flash (do I need one pop or several pops from the same flash during this exposure etc). Then the final exposure adjustment is up to the ISO. Use your light meter and don’t be afraid to burn a few test shots before you nail it. 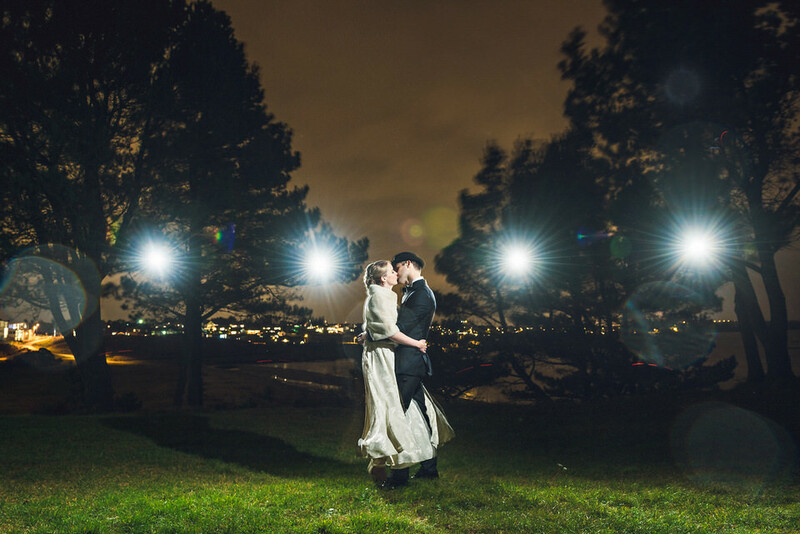 If you want to light the couple with a flash, then add flash accordingly. In front, behind or whatever floats your boat. Sometimes if I don’t have my PocketWizards at hand I just pop the flash manually. You can also light them up with a flashlight but they have to stand perfectly still. A flash freeze them so it’s easier but use what you got. I always use a 2 second self timer on the shutter to avoid camera shake. Are you ready to get crackin’? Let’s move on and I’ll explain a little about each photo along the way. Here we go! One flash with a PocketWizard attached and the transmitter in my hand. One pop high up from camera right and four pops behind them. If you look closely you can see the red blinking light from the transmitter in my hand. 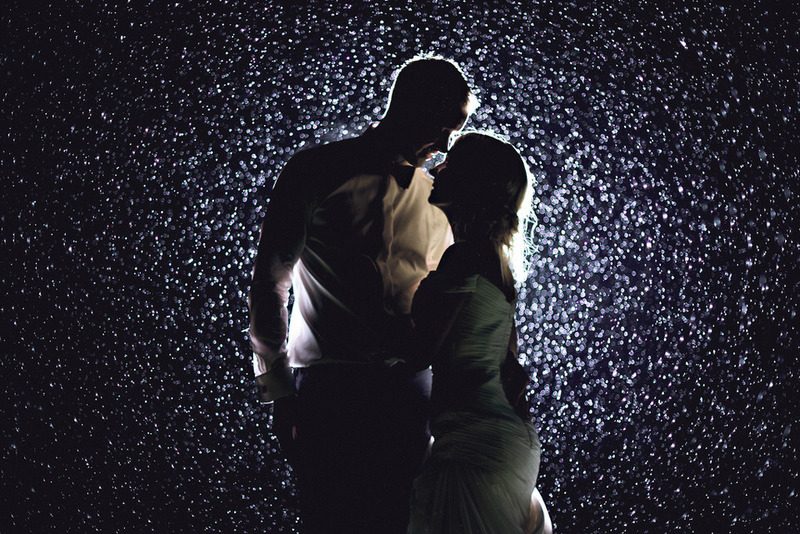 Erica and Håkon had some intense rain on their wedding day so I wanted to incorporate that in the last shot. They were holding umbrellas while I prepared so that they didn’t get wet. I had a see through plastic bag over my flash and put it behind them. I adjusted the exposure so that everything was perfect and then told them to drop the umbrellas in 3-2-1-GO! *click-click-click-click-click-click* DONE! 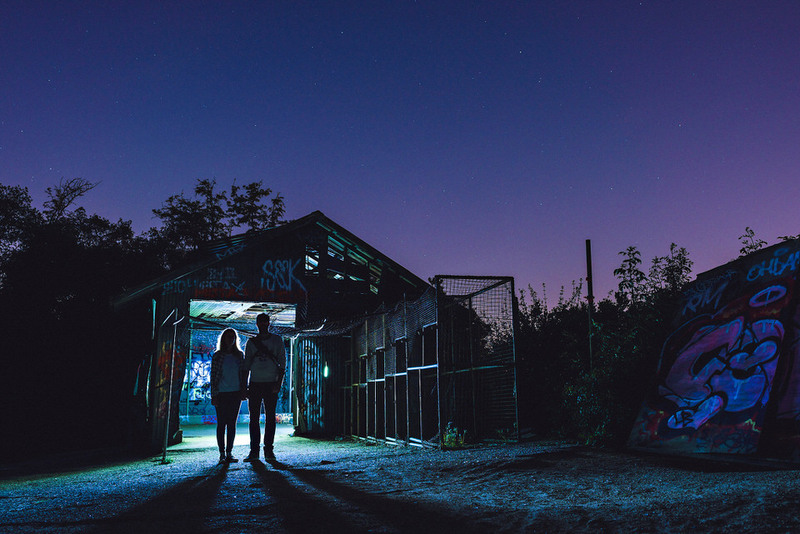 Not a long exposure but a quick silhouette by popping a flash at the wall behind the couple. The colors is a photo of a gas station sign on my way home layered on top with a double exposure. On Nikon you find “multiple exposure” in the menu, pick the two photos you want to combine and hit “OK”. Flash camera left triggered with a PocketWizard. Light painting with a $10 garage flashlight from Home Depot (Clas Ohlsson). Two flashes with blue and magenta color gels behind them. Not much more to say about this other than that I concentrated on the wall behind each subject to be nicely lit and colored. This one was very challenging due to a lot of ambient light around (lamp posts). I made sure to place the couple in shade from the ambient + find a background for them that didn’t have any direct light on it. One flash camera right and a green light stick to paint with. When I photographed Ella & Pitr, two French street artists, I wanted to mix things up and let them be in charge of the painting. We turned off all the lights in a car shop they were painting and I lit them with a flash with a grid attached which makes it into a spotlight. 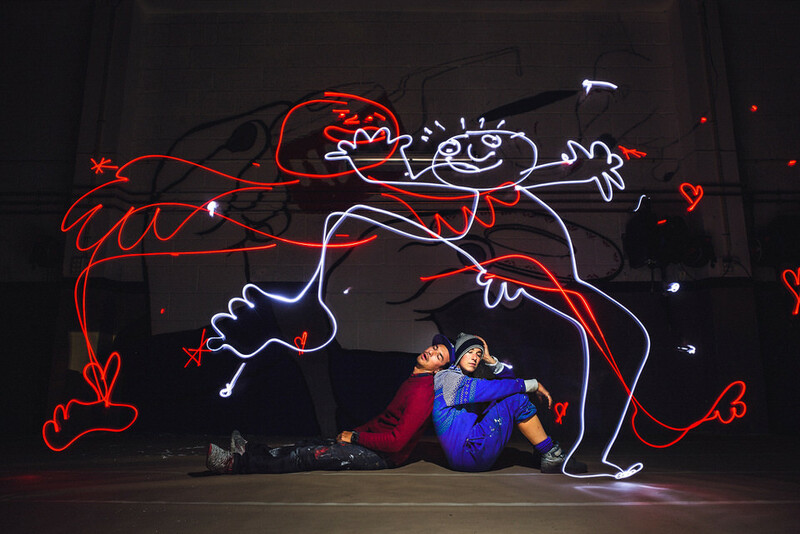 They used one red and one white small LED light to draw. 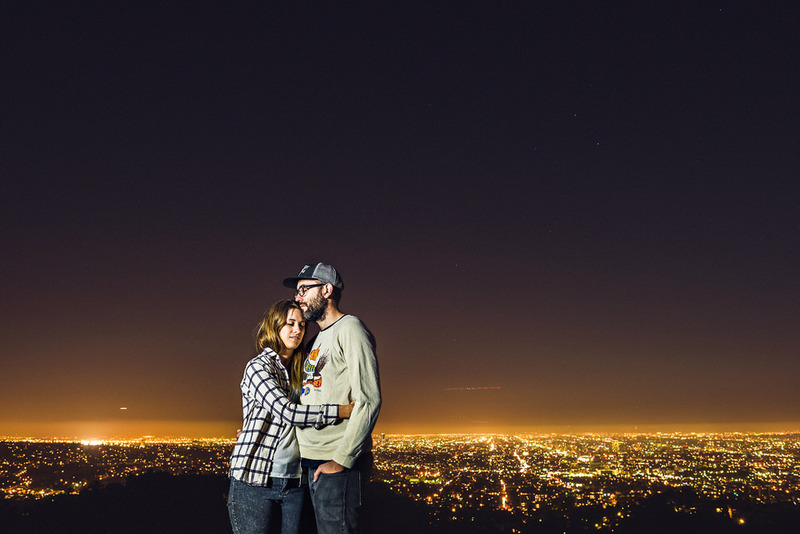 What do you do when you have the entire Los Angeles city lights in the background and no flash? I bought a pair of Lume Cubes a few months ago and I just love them! They are so small and weigh practically nothing. 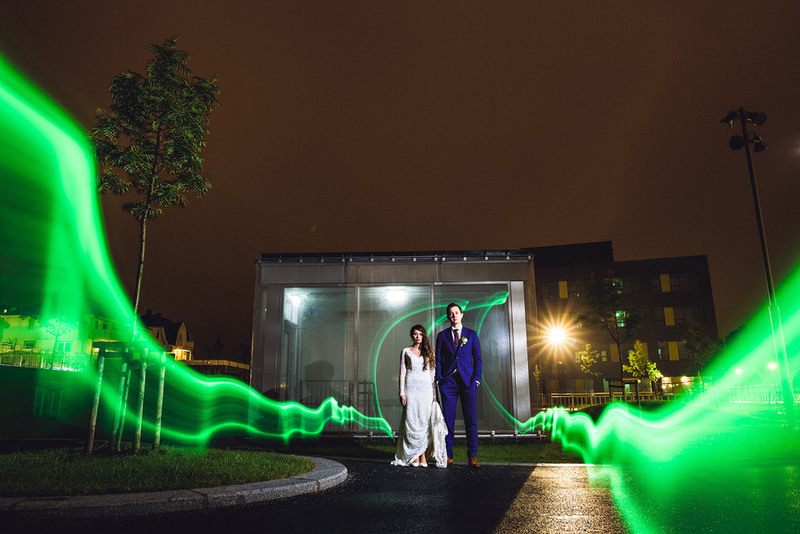 I told Kat and Leon to stand perfectly still and after the shutter opened I lit them a few strokes up and down with a Lume Cube. Have you ever been to the Alps in Austria? It gets DARK. I mean pitch black. There are no street lights, just black mountains. 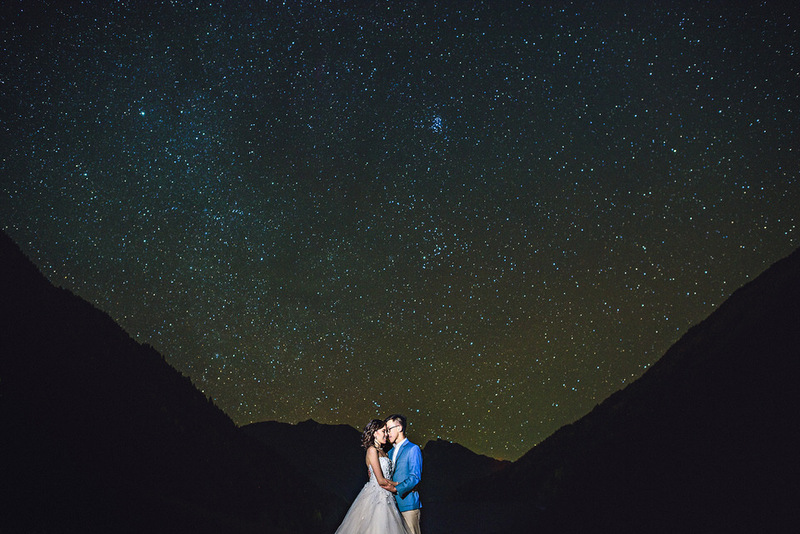 With the spectacular starry sky above us I wanted to incorporate it in a shot. Flash camera left on top of a garage balcony. If you want to take a photo of the stars you should know about the “500 rule”: 500 divided by the focal length of your lens = the longest exposure (in seconds) before stars start to “trail”. On a 24mm that is 500/24 = 21. I try to stay under 20 when photographing stars on my 24mm so 15 is a go to just to keep it safe. One of those days without a tripod or stands. Camera is on top of an empty beer case with 3 iPhones stacked under the lens to tilt it up. The bridesmaid is standing camera left holding a flash and another flash is lying on the grass behind the couple. Blue and green light sticks for painting. Camera on top of a concrete block. I ran inside the building lighting it up from the inside with a Lume Cube and pointing it towards their back to make them a silhouette against the bright door opening. I asked them to stand in front of the cars headlights when they dropped me off after the shoot. 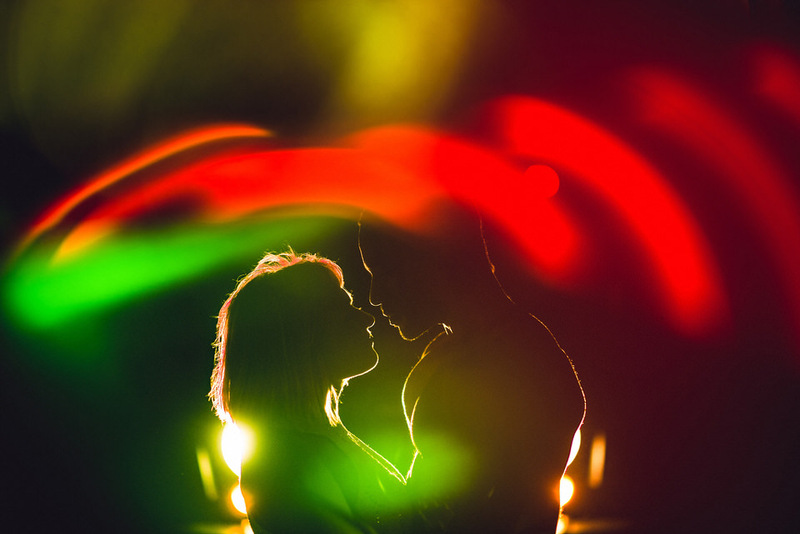 I made a silhouette of them and the rest is a series of multiple exposures photographing colored objects and lights.